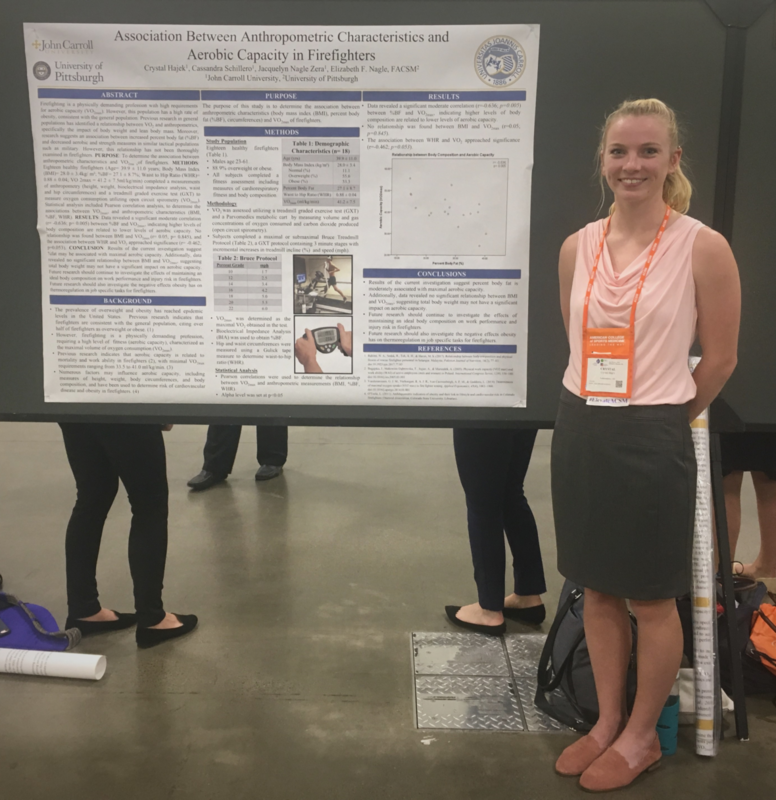 Congratulations to Crystal Hajek ’18, who presented her research on the Association Between Anthropometric Characteristics and Aerobic Capacity in Firefighters at the American College of Sports Medicine Annual Meeting. 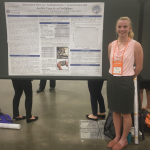 Crystal and Dr. Jacquelyn Nagle Zera (Exercise Science) also applied for and were granted an NSF travel award. Crystal was one of only ten students selected and recognized for her work.